The 2015 offering is once again incredible. The hops and malt on the nose invite you in to once again enjoy the amazing brew’s delectable flavors. Thank you Troegs! 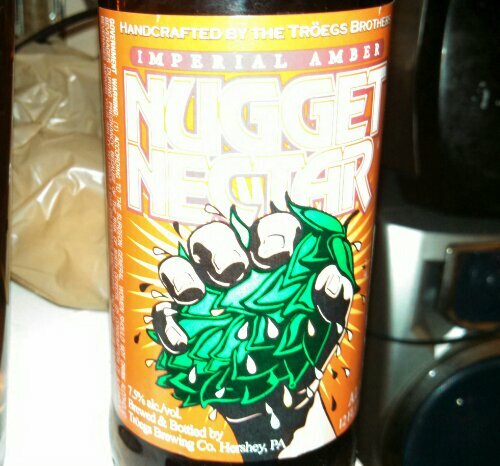 They claim that “Tröegs’ Nugget Nectar Ale will take hopheads to nirvana.” Well let me just say… they are absolutely right! Nectar is one of the most flavorful hoppy brews I have had. Citrus hints with the all powerful blend of hops. 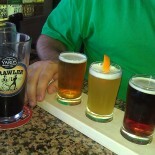 At 7.5 ABV these will catch up with you. The only bad news here is that NN is seasonal!! Boo Hoo. This entry was posted on February 6, 2015 by DuffBrew in Uncategorized.